Most UK homeowners understand their mortgage structure and they can count down each month how much they’re paying in interest and how much in principal. They know what their interest rate is to at least the second significant figure and when it’s due to change. The more savvy among them are wise to making overpayments and know how much they’ll pay in penalties for early repayment and whether it’s worth it or not. These are smart homeowners. Disturbingly, though, around a third of the nation’s homeowners don’t even know what their interest rate is, let alone how much early repayment will sting them for. 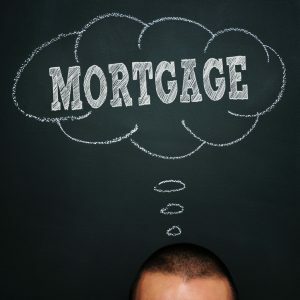 A recent YouGov survey discovered that as well as having no idea what their interest rate is, one in eight owner-occupiers don’t even know if their mortgage is interest-only or not. One in ten owners don’t know if their interest rate is fixed or variable. Even more worrying is the fact that 10% of the respondents had no idea how long their mortgage term was and 5% couldn’t even name the mortgage provider! This is astonishing when you consider that their mortgage is probably the biggest financial commitment they’ll make in their lives. If you’re looking to buy a house or flat, especially if it’s your first step on the property ladder, understanding your mortgage is essential. You should be reading all about prevailing interest rates and looking at the deals out there before you even view your first property. Although checking the many online mortgage payment calculators can give an indication of your monthly payments, they are sometimes wide of the mark (both lower and higher) by tens of pounds each month. Additionally, looking for online deals only can lead to homebuyers missing out on many great options, so it’s always best to talk to a lender or an independent mortgage broker (or several) directly.